In these two prints we are looking eastward from the bakufu’s rice granary (淺草御蔵, pronounced as Asakusa okura) and standing under a very famous tree, called Shubinomatsu (首尾の松, which literally translates into “pine of result” but actually means “pine of success”). 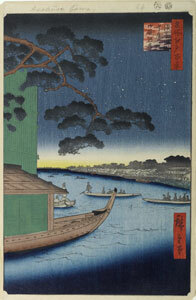 The pine derived its name from the fact that its branches - some of which are visible in front of us in these two prints, arching over our heads as it were - supposedly heard the sexual successes boasted about by the visitors of Yoshiwara, the licensed pleasure quarter, when sailing back home in their chokibune river taxis. 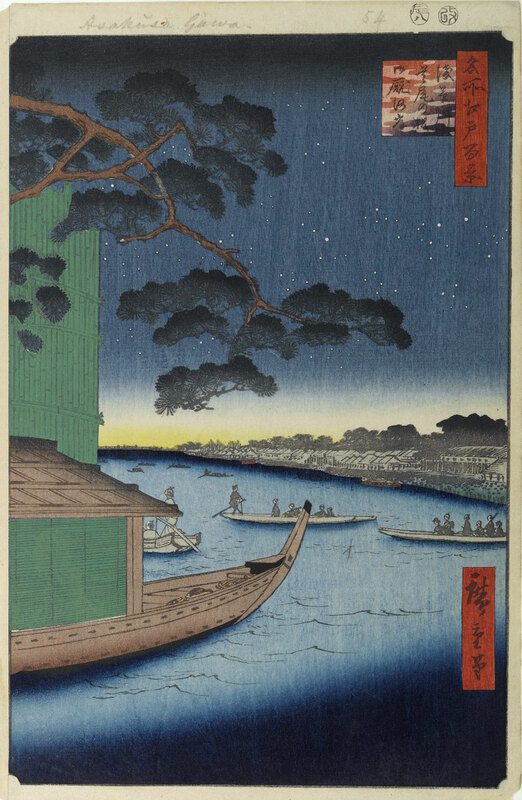 Just in front of this famous pine, located at the end of the middle pier of the Asakusa rice granary, people on a boat are seen fishing with hook and line. 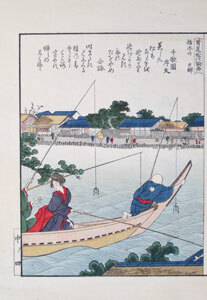 In the foreground of this print we see a yanebune (see prints 2-3 and 2-4 for details) anchored under the pine tree, its green blinds completely lowered, even though this was no longer officially allowed according to the Tempō reforms issued in 1842. 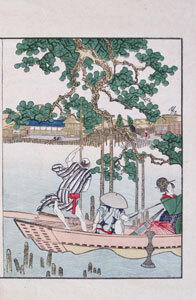 The very subtle shadow of a woman can be detected behind the lowered green blind. 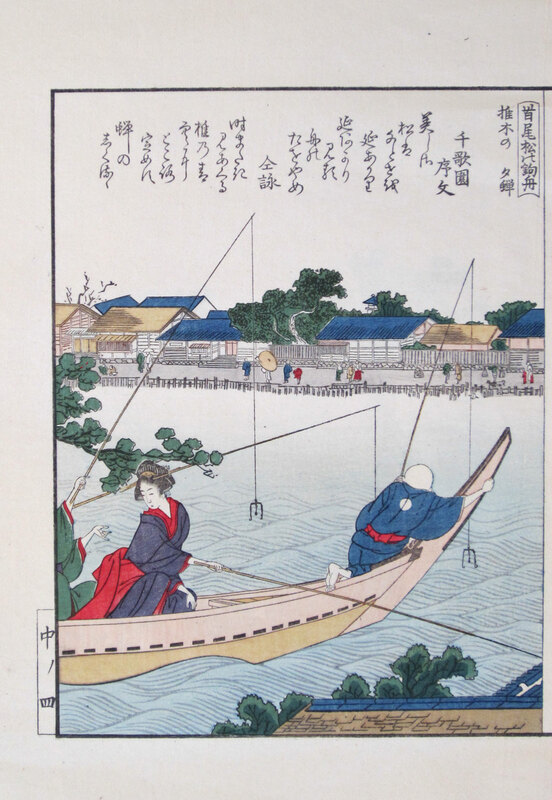 In the middle distance of this print we not only see the Onmaya ferry displayed in Hokusai’s prints 2-9 and 2-10, but also a chokibune river taxi with a single passenger which is almost certainly bound for the Yoshiwara district of Edo.